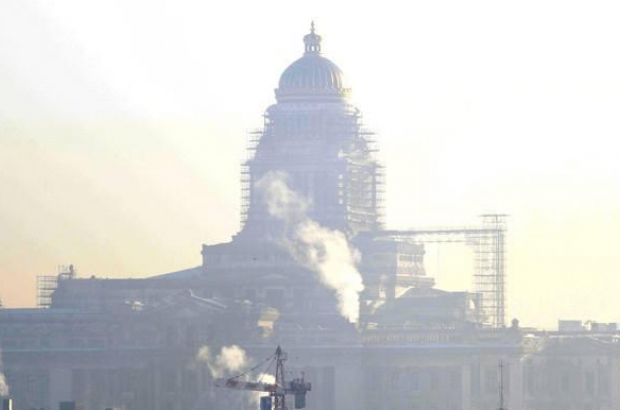 300 Brussels residents have decided to take the job of measuring the city's air quality into their own hands. Mobile measuring stations have been set up in gardens and on roofs and balconies at homes in 13 of the Brussels communes, in an initiative led by the Ecolo and Groen parties. The devices measure levels of nitrogen dioxide, a key contributor to air pollution and a known cause of respiratory diseases. "There are nine official air quality measurements stations currently in Brussels," said Thomas Naessens, co-chair of the Jette branch of the Ecolo-Groen party. "That is far too little to cover the whole Brussels region. There are large parts of the region that are not measured at all." A nursery in Jette is one of the 300 locations taking part. Director Mireille Lamot said a mother persuaded her to join the experiment after her son recently suffered bronchiolitis. The results of the current tests will be published in May. A similar experiment in Schaerbeek last year revealed nitrogen dioxide levels above the European maximum limit in four of the 25 locations measured.